Sir Elton John is in the automotive news at the moment with two cars associated to him being auctioned. 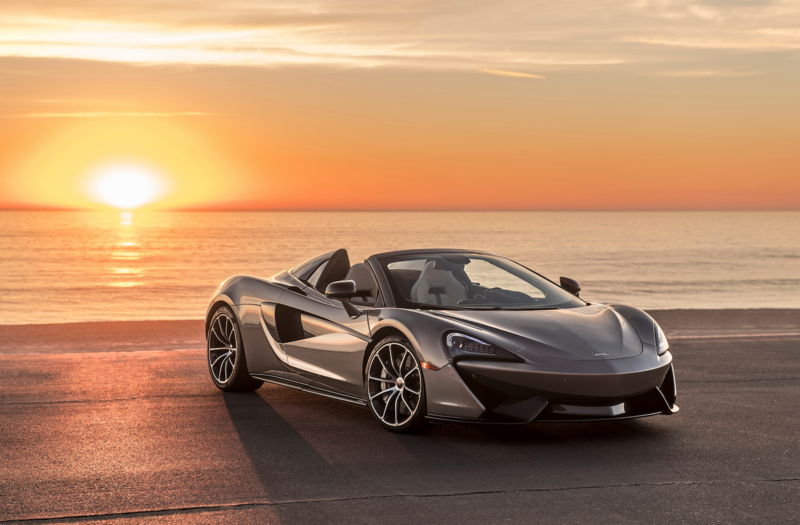 The first is a stunning bespoke McLaren 570S Spider donated to the Elton John Aids Foundation, while the other is a 2014 Bentley Continental GT Speed with less than 22,000 miles on the clock from the musician's private collection. The McLaren was put up for auction Wednesday at the Argento Ball in association with BVLGARI & Bob and Tamar Manoukian. Every penny of the £725,000 (about US$948,000) the car eventually raised is going to the Foundation which has creating an AIDS-free future for everybody as its ultimate goal. The event was held at Sir Elton John's home, Woodside in Berkshire, UK, where comedian and talk show host Graham Norton acted as master of ceremonies with Ed Sheeran also being there to deliver a special performance. As well as the car itself, the winner of the auction will be getting a personal tour of the McLaren Technology Centre by Amanda McLaren, who is the only child of founder Bruce McLaren and a brand ambassador for McLaren Automotive. The winner will get to witness the creation of a McLaren from behind the scenes, and this really is a money-can't-buy-experience because the Technology Centre isn't open to the public. Meanwhile the 2014 Bentley Continental GT Speed offers a truly unique provenance as it comes from Sir Elton's private collection, and it will be going up for auction at the Silverstone Classic taking place July 21-22 at The Wing, Silverstone Circuit. Finished in a dignified shade of Onyx Black and sitting on a set of recently refurbished 21-inch Speed alloys, the selected options list for the car specified by Sir Elton stretches to no less than three A4 pages. Obviously the car is accompanied by a comprehensive service history, and Silverstone Auctions expects the Bentley to fetch between £70,000 and £80,000 (about US$91,500- $104,600) when it goes under the hammer.